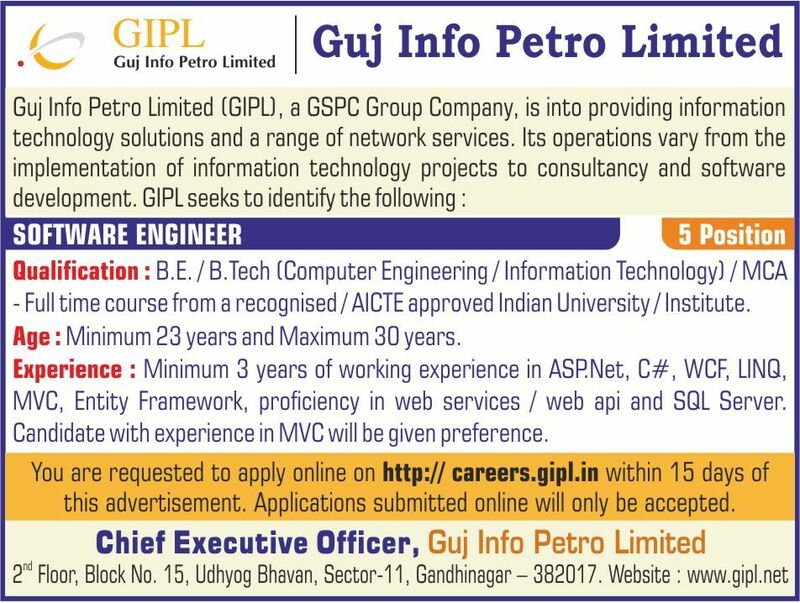 Guj Info Petro Limited (GIPL) has published Advertisement for below mentioned Posts 2017. Other details like age limit, educational qualification, selection process, application fee and how to apply are given below. Educational Qualification: B.E. / B. Tech (Computer Engineering / Information Technology) / MCA - Full time course from a recognised/ AICTE approved Indian University / Institute. MVC, Entity Framework, proficiency in web services / web api and SQL Server. Candidate with experience in MVC will be given preference.